A ribbon-cutting ceremony on Thursday, November 5, celebrated the conversion of the former Alexander Inn, a historic two-story hotel in central Oak Ridge, into an assisted living center called Alexander Guest House. 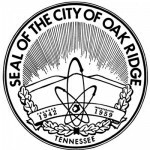 The ceremony, which was organized by the Oak Ridge Chamber of Commerce, included an open house. Guests toured the new 64-apartment assisted living center, which is located at 210 East Madison Road in Jackson Square. Preserving the former Alexander Inn had been a dream for years, and those who have toured the two-year, $8 million conversion, completed by Dover Development of East Tennessee, have described it as “lovely” and “absolutely tremendous,” among other superlatives. Once known as the Guest House, the former Alexander Inn was built as part of the top-secret Manhattan Project during World War II, and top scientists and dignitaries once stayed there. Now, future residents are reserving rooms to live there. The Alexander Guest House includes an 18-unit first-floor memory care wing for residents with Alzheimer’s and dementia. The Alexander Guest House could become part of the Manhattan Project National Historical Park approved by Congress in 2014, signed into law by President Barack Obama in December, and formally established on Tuesday, November 10, 2015. Here are photos from last week’s ribbon-cutting ceremony and open house. See more photos and information from a September media tour here. Call (865) 399-2891 or visit alexanderoakridge.com for more information about Alexander Guest House or to have a private tour.